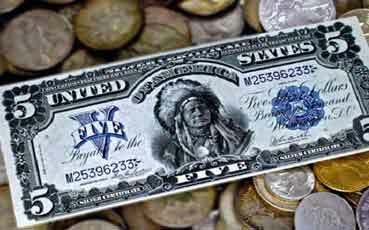 Covina Coin has been in the Coin, Currency and Collectable business for over forty years. We buy, sell and appraise most valuables and collectables. Covina Coin & Jewelry is a full service coin business specializing in rare coins from the U.S. and around the world we also deal in all aspects of the numismatic industry including appraising rare coins. We provide committed service to the young collector, serious investor and major coin wholesalers. As we said we specialize in United States coinage of all denominations, especially rare coins and hard to find currency notes as well as gold and silver bullion, currency, stamps, and coin jewelry. If you are searching for an elusive rare date to complete your collection, or handle bulk/bullion purchasing for your own company, please give us an opportunity to meet your needs. Our inventory is vast, and continually changing. Please check back often, as new items will be added frequently. Coins Bought and Sold Did you know Covina Coin & Jewelry buys from private collectors as well as other dealers. If you are looking to sell an item or collection, please let us know what you have to offer. WHAT’S YOUR INVENTORY WORTH ? Covina Coin & Jewelry is a full-service coin business dealing in all aspects of the numismatic industry. We provide committed service to the young collector, serious investor and major coin wholesalers. At Covina Coin, we have one of the largest inventories in Southern California! I’ve dealt with this business many times over the years, and they’re always pleasant, professional and very fair. it’s always a pleasure dealing with local, family owned businesses. These folks are the real treasures. I had some old silver coins, after taking few places and getting some quotes, this guys gave me highest buying price. David was professional and answered all my questions.highly recommended this place. Great store! Very professional, well stocked, and knowledgeable staff. 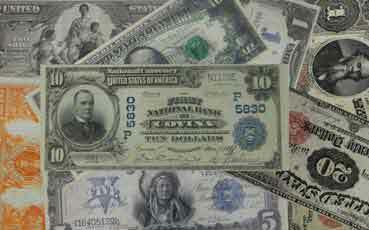 Great selection of paper money & coins. Let me say the lady here was absolutely wonderful and very very helpful. Pleasant speaking with her and genuinely appears to care about customer service. I’ve exchanged some emails in the past regarding some coins and she has always had quick replys. The shop looks great inside and is very clean. I will do continued business here! Highly recommend!!! Covina Coin and Jewelry located in Covina California has been in the coin and currency business for over 50 years. With a large inventory of rare coins, collectible coins, Foreign and U.S. Currency notes, gold and silver jewelry pieces Sterling Silver Antiques and more, that’s constantly changing, we have or can find just about any coin or currency note in circulation today. 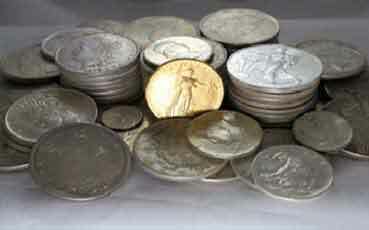 Covina Coin is also a large buyer of scrap or broken jewelry, watches, gold, silver, platinum and antiques. Providing free on-site appraisals and Offering some of the highest payouts for coins, gold & silver and even scrap jewelry around. Covina coin makes it easy to turn your unwanted or unused items into cash. So if you are looking to sell or buy a coin or a complete coin set and uncirculated bill or a complete set of civil war currency notes a piece of old jewelry or your grandmothers old silver dinner wear set Covina Coin is the place to go. We have clients from cities around the U.S. including Austin TX, Boston MA, New York NY, Trenton NJ, Las Vegas NV, Seattle WA, and even Washington D.C. We are extremely popular around surrounding communities as well with clients coming as far as Laguna Beach, Malibu, Riverside, Temecula, and even San Diego. Our local presence is what we are proudest of helping collectors, buyers and sellers of all ages at our retail shop is what we do best. Our clients from local cities such as Brea, Fullerton, La Habra, Yorba Linda, Diamond Bar, Walnut, San Dimas, Chino Hills, West Covina and Of course Covina know that when they need to buy, sell, pawn, or appraise their valuables or collectibles Covina Coin is always there to help. So if you are located in the valley near Glendale, Burbank, Pasadena, La Cresenta, La Canada or near the beach by Newport Beach, Huntington Beach, Seal Beach or Long Beach or in the desert near Palm Springs, Palm Desert, Hesperia, Victorville, Apple Valley or in the mountains like Big Bear, Arrowhead and Running Springs and anywhere in between you can count on Covina Coin to give you the best prices and the best information on your next transaction.